Geeks Fish Too: Are you taking time apart? I've been thinking about this a lot lately. Why do we as angler's hide the fact that fishing is like a salve to the soul? Or do we really hide it? 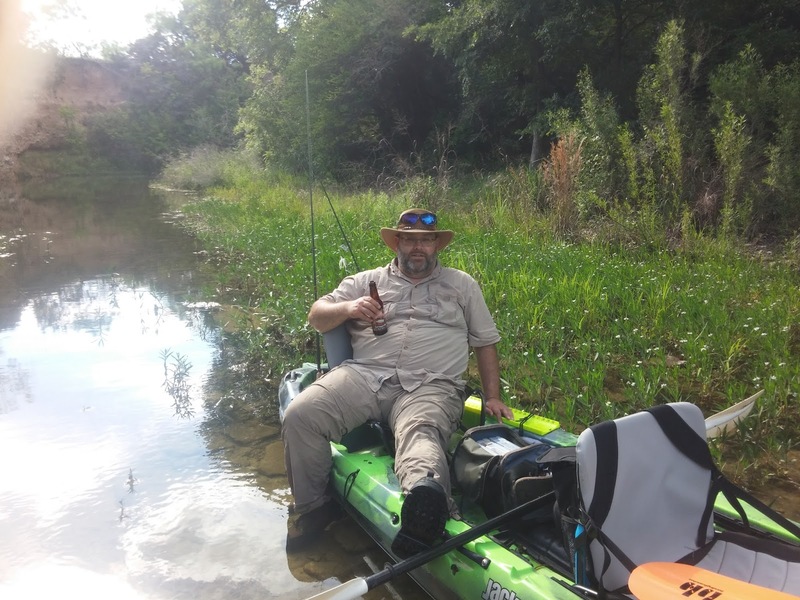 I can't tell you how many times I've had people stop and ask about my kayak and often marvel that my wife goes fishing with me. They don't believe me when I tell them she really likes to go fishing. She has to tell them herself... and then they act like she's brainwashed. 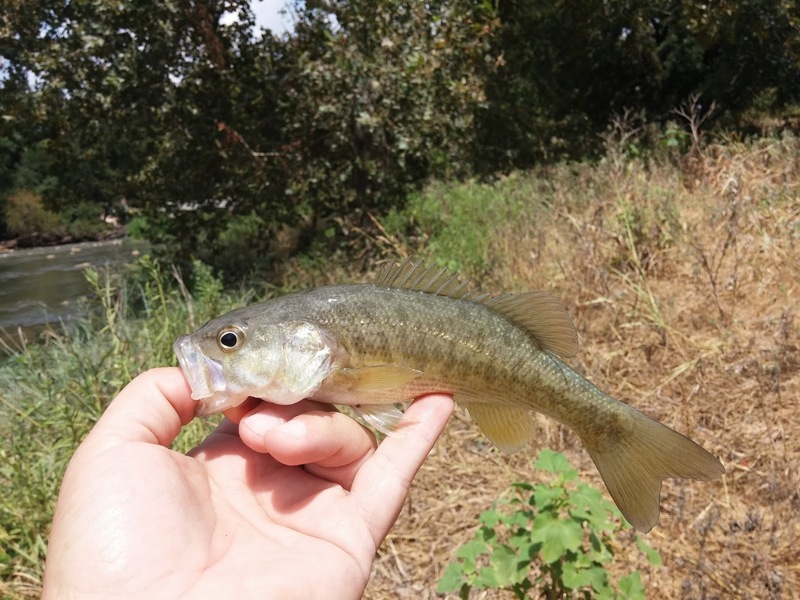 Yet, it's a simple fact that she, like the rest of us male anglers, likes to get away from all the hustle and bustle and feel the calmness of nature. There was a time for me when the calmness was overwhelming. I could hardly stand to stand still or sit still for a few minutes and just look. 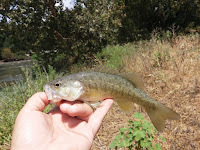 At first when I went fishing, I was so focused on big fish, that I failed to even notice the beautiful little ones. How much we miss when we are being pushed along by the wave of society that says "Keep moving! Don't stop! Nothing to see here!". I have learned over the past few years that this mindset was killing me. Several years ago I was in a job that was very stressful. Every day I came home weary and worn out with the cares of the day. Employee's being brats to each other, my managers being brats to each other, and the organization being a brat to everyone. The daily tasks weren't any better at reducing stress and almost never did I find myself experiencing "Good stress". Every day I was answering questions on everything from how to install software to how do I request time off. I tried to defer management questions to those under me, but it didn't work well and so my time was interrupted and often wasted. The source of my frustrations. Just looking at this picture makes my chest hurt. wonder that my poor wife was almost scared of me coming home each day! I would walk in the door and declare rather emphatically "Don't ask me questions and don't talk to me!". I would sit on the couch staring at nothing until I dozed off. After this little reprieve, she would serve me supper and I'd be back to normal. During this time we had started to look at our sedentary lives and decided to make a major change: This was to purchase a kayak and start fishing. I was returning to something I hadn't done in years and used to be good at. My wife was learning something she had never done before (fishing). We started fishing about once a month. 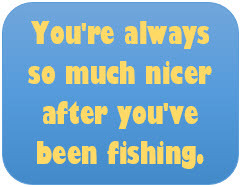 My dear wife had noticed that after we went fishing on any particular weekend, I was a much nicer person to be around for several work days after that. It was then that she made the earth shattering suggestion: "Why don't you take your fishing rod and start fishing somewhere on the way home? You're always so much nicer after you've been fishing." At first I was almost mad. How dare she suggest that fishing turn me into a nicer person?? But here was an opportunity to do something I liked to do on a daily basis. But I was in such disbelief that I still had to confirm that she had not only told me to go fishing without her, she had also given me the opportunity to come home later which meant missing the traffic. She had a double purpose in this because she knew not only would I miss traffic, I'd get a chance to relax as well. What a smart wife I have!! From that point my life changed. 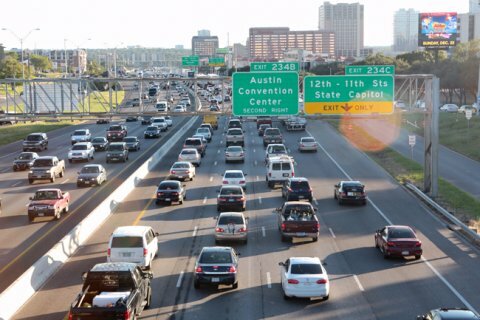 Each day when I left work, I would slip into traffic and gauge how much traffic there was. If it was bad enough to extend my drive, I would pull off at the first fishing hole and go fishing for an hour or two. Sometimes at city parks, and sometimes at lakes where there were holes. Other times it would be at the river I drove over after picking up groceries (it was a different path home). "I really like it when my husband goes fishing before he comes home from work. He's so relaxed! You should have your husband try it!" I couldn't believe my ears. Looking back then, I could see that she was right. I was a different man after I spent an hour on the bank of a lake or stream with only myself to face. It was taking time apart to actually think. At first I was thinking only of how to catch fish, but as I would stand there, I would hash out the events of the day and resolve them in my mind. By the time I got home, I had made peace with my frustrations and I really could relax. Now'a'days this is part of my weekly diet. And what do you know, my wife became an avid angler through it as well. She also see's the benefit of casting aside (pun here) the cares of life to enjoy the great outdoors that God created for us. 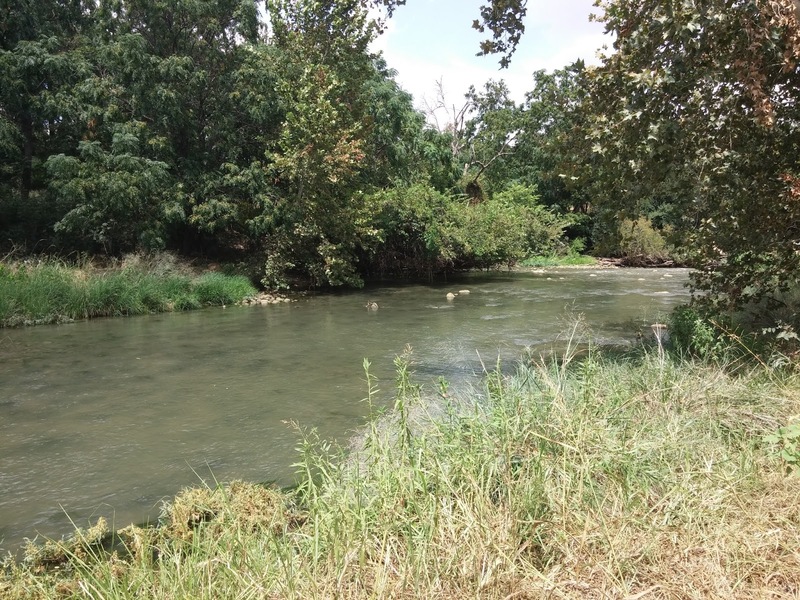 There's nothing quite like standing knee deep in a river and hearing the beautiful sounds and seeing the natural beauty that is untouched by man. I especially do this in those spots where no man-made noise invades. These spots are more precious than gold to me. Your turn. You try this. Find your place where you get away. Turn off the amplification of man-made sound. Look for that spot where the only sound you hear is the birds, the river, the waves on the shore, the wind in the trees, or simply nothing at all! All of these I have found. You can too. Stop. Turn around. Face yourself and think.